I think anyone who follows this site knows that I’m something of perfectionist: when I don’t have any editorial constraints, I’m the sort of person who will nitpick at something until it comes out just right. Sometimes, I feel like a piece is perfect almost from the get-go. Other times, well, it takes a while before I can mold a piece of writing into something I’m satisfied publishing. A lot of the stuff I cover here doesn’t see a lot of attention anywhere else, after all, and I want those folks who come here from a Google search on obscure gaming subjects to walk away feeling completely satisfied. So when I write a big ol’ piece about Raimais or MC Hammer’s video game influence or weird as hell Virtua Fighter OVAs, I want it to be really, really good. So when Arkanoid vs. Space Invaders originally came and went as a Japanese-exclusive F2P mobile game, I wanted to write a lot about it. I would be the only person memorializing this odd little game chock-full of Taito fanservice in English, after all, and it would be my duty to preserve a little piece of gaming history most others would overlook. I’d done something similar for Bubblen March, another Taito F2P game that died suddenly months after I wrote about it, but in this case, I wanted to do it better. Unfortunately, my perfectionistic tendencies kicked into overdrive, and while I poked away at it for months on end, I never really felt satisfied with the piece as a memorial. I was the sole person enshrining this game’s memory, dammit, I had to do the best job I could, and I would have rather not posted anything at all than posted something I wasn’t happy with. But then a funny thing happened: out of nowhere, Arkanoid vs. Space Invaders was reborn as a global paid app on iOS and Android. For about $5, you can play the game with no further strings attached. It was a weird relief: I didn’t have to hold myself responsible for preserving the game’s memory outside of Japan, because now it not only existed again, but was available in roughly a dozen different languages. It’s received a fair bit of word-of-mouth and good initial reception, too. However, I still think there’s something to be looked at here, since many of the people now playing the game didn’t have an opportunity to see how the game was transformed in its unlikely revival. 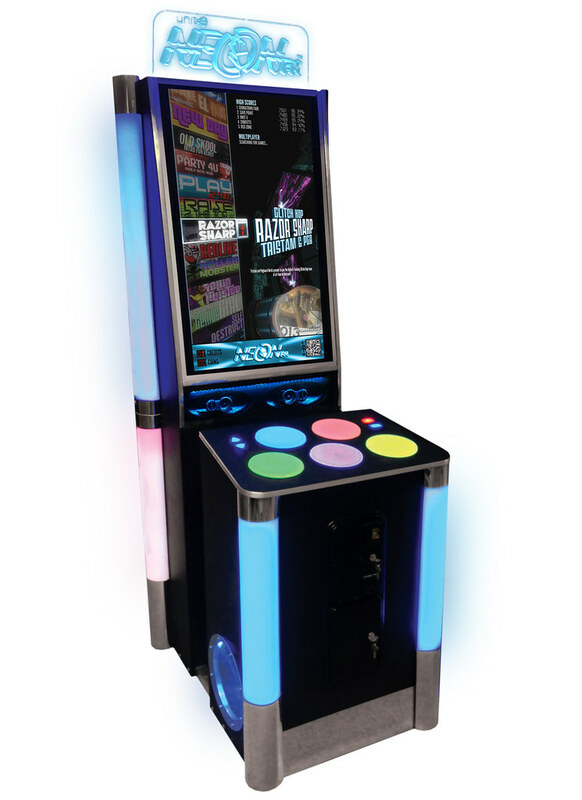 I think it’s finally time to sit down and talk about Arkanoid vs. Space Invaders. The Japanese App Stores are a battlefield: the top grossing free-to-play apps rake in millions every day for their respective producers, jockeying for status and position on the charts, while thousands of others peter out after a few months or maintain a small but eagerly supportive audience. Others never even get off the ground – remember that Street Fighter card game? It went into beta around this time last year and nothing has come of it since. The freemium market might look like easy (or even greedy) money to a casual observer, but it’s actually a far harder nut to crack than most folks might think. Monster Strike, a game which has been in a heated war with Puzzle and Dragons for top-grossing Japanese app for months, is noteworthy not only because it’s been such a huge hit in a very, very tough market, but because it’s something of a redemption story. Publisher Mixi operated a once-dominant social network in Japan that, in recent years, was rapidly losing ground to competitors like Facebook, Line, and Twitter – only to see business take a dramatic upwards turn as people picked up the game. The game’s designer, one Yoshiki Okamoto, is a man responsible for numerous classics at companies like Konami and Capcom, practically defining the late-80s-early-90s arcade legacy of the latter. Okamoto’s previous studio, Game Republic, suffered a terrible collapse after deals with western developers tanked, leaving them with massive debts that AAA development budgets require. Okamoto has now sworn off console development entirely, focusing strictly on mobile – thanks to Monster Strike’s roaring success. It might seem tragic at first, but knowing just how badly he got burned – and seeing just how fun Monster Strike is1 – Okamoto finding a new path and purpose in game development is actually a very happy story indeed. I had an opportunity to talk with Okamoto and Koki Kimura, a producer at Mixi, about Monster Strike, along with Michael Oakland of Mixi’s localization team. We talked about the game and the ideas behind it, engaging in a lot of silliness in the process.